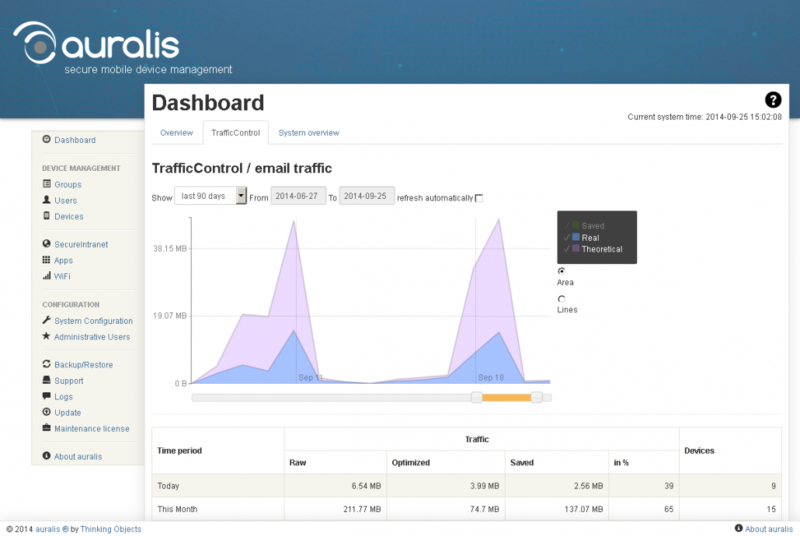 With auralis® TrafficControl you have the perfect control over your mobile mail traffic: this function reduces Internet traffic and roaming cost dramatically. The only Mobile Device Management solution with compression included. auralis is the only solution to combine MDM with attachment compression for ActiveSync enabled mobile devices. 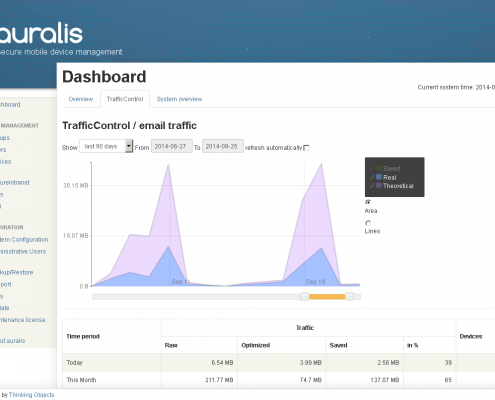 The dashboard within the admin user interface shows all propertiers at a glance and counts every byte saved in transmission. Do you want to block or compress certain mail attachments? You can either block attachments based on type and therefore secure mobile mail by preventing data leakage, or you just compress your attachments automatically. Save money by reducing traffic and roaming traffic as auralis compresses pictures, PDF and Microsoft Office documents up to 90%.